Select a text box and type some text. To format, select the text, and select an option to change the font, spacing, or alignment. On the Insert tab, select what you want to insert: a new slide, table, picture, shapes, comments, and more. Select the slide to add a transition to. On the Transitions tab, select the transition and effect you want. 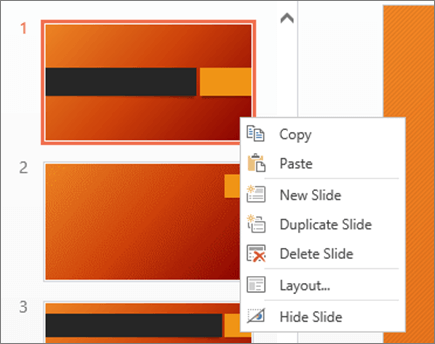 Tip: Select Apply To All to apply the transition to all slides.